Basalí MediSpa and Dermal Institute takes a scientific approach to beauty and wellness. The tag line, nature’s best science refers to this healthy and scientific approach to skin care. The grid is the key graphic of the Basalí branding and provides the system for skin type identification. 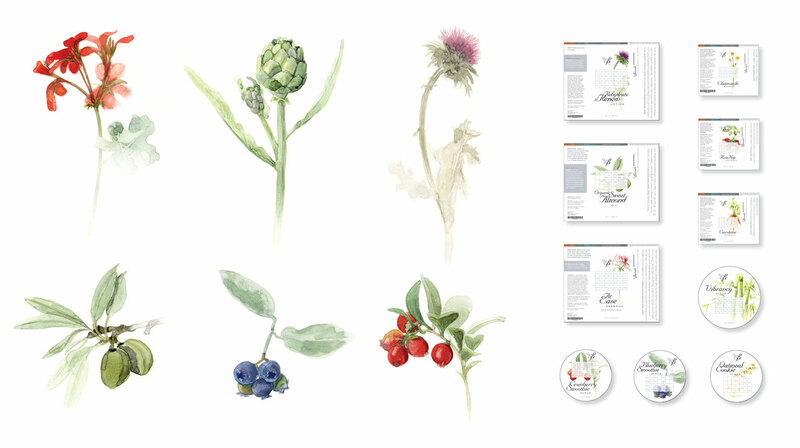 The illustrations became another important branding element, reinforcing the natural ingredients contained in the products. 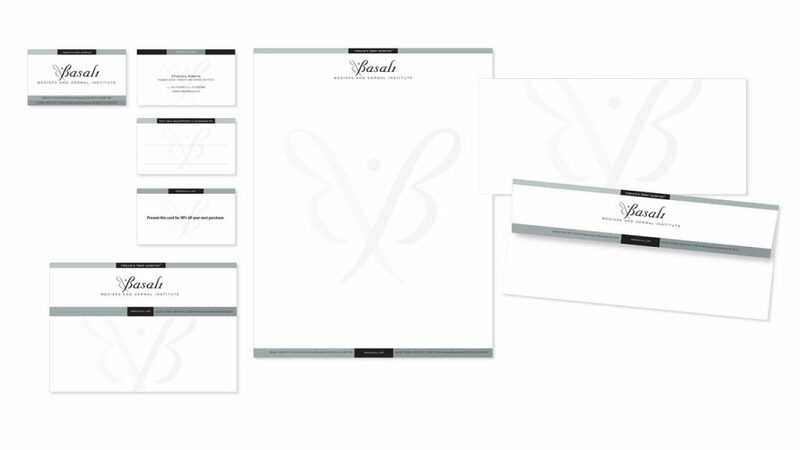 The Basali palette consists of grey and silver tones with brilliant, rich colors from nature used sparingly as seen in these two brochures. The top one explains this unique skin care system while the bottom explains each product and identifies the skin type that it is specifically for. 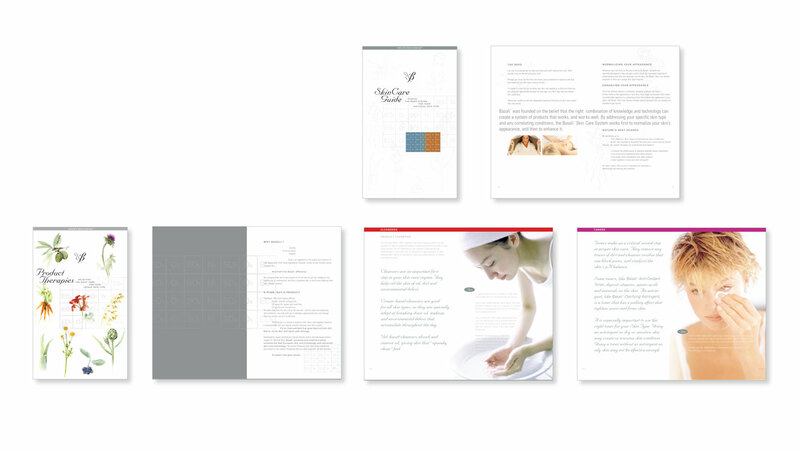 BBc developed the corporate branding, designed the product labels and packaging, illustrated the plant products and designed all collateral and advertising. This advertising campaign continues emphasis on the basic branding elements of Basali – the grid, the illustrations and the nurturing, scientific philosophy.